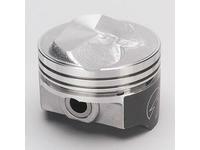 Speed Pro Pistons DUROSHIELD® skirt coating dramatically reduces friction and related scuffing without the need to adjust wall clearance. 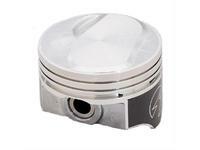 The result is enhanced ring seal, increased horsepower and extended piston life. 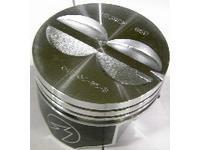 350 BASED engine (4.000 bore x 3.480 Stroke) press pin, coated skirt. Pistons sold in sets of 8, price shown is each. 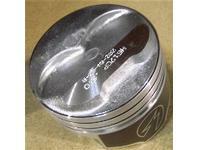 Do not use in 4.3L V6! 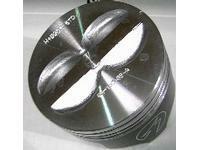 454 BASED; .100 Dome w/ 1 valve relief, 4.250 bore x 4.00 stroke, press or floating pin, coated skirts. 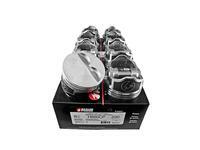 Pistons sold in sets of 8, price shown is each. 305 BASED eng. 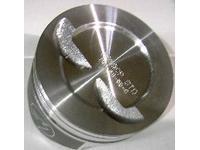 (3.736 bore x 3.480 Stroke) press pin, coated skirt. Pistons sold in sets of 8, price shown is each. 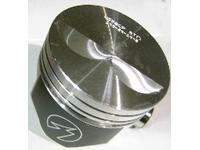 454 BASED; .340 Dome; 2 valve reliefs, 4.250 bore x 4.00 stroke, press or floating pin, coated skirts. Pistons sold in sets of 8, price shown is each. 400 BASED eng. 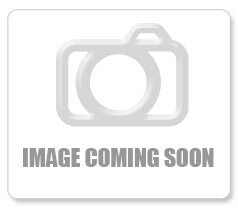 (4.125 bore x 3.750 Stroke) 5.56" rod, press pin,non-coated skirt. Pistons sold in sets of 8, price shown is each. 400 BASED eng. 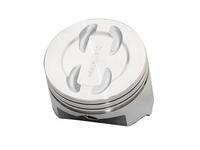 (4.125 bore x 3.750 Stroke) .135 Dish, 5.7" rod, press or floating pin, coated skirt. Pistons sold in sets of 8, price shown is each. 400 BASED eng. 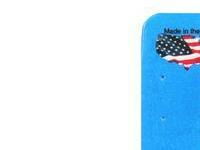 (4.125 bore x 3.750 Stroke) Flat Top, 5.7" rod, press or floating pin, coated skirt. Pistons sold in sets of 8, price shown is each. 350 BASED eng. 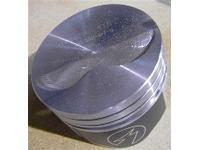 (4.000 bore x 3.480 Stroke) .275 Dome, press or float pin, coated skirt. Pistons sold in sets of 8, price shown is each. 350 BASED eng.  (4.000 bore x 3.480 Stroke) .125 Dome, press or float pin, coated skirt. Pistons sold in sets of 8, price shown is each. 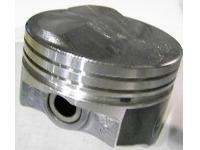 454 BASED; Flat Top 2 valve reliefs, 4.250 bore x 4.00 stroke, press or floating pin, coated skirts. Pistons sold in sets of 8, price shown is each. 383 Stroker Based eng. 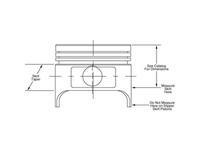 .200 Dome (4.000 bore x 3.750 Stroke) press or float pin, coated skirt. 350 engines using a 400 SBC crank with 5.7" rods. Pistons sold in sets of 8, price shown is each. 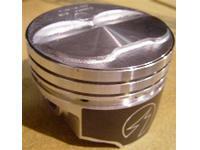 454 BASED; .210 Dome; 2 valve reliefs, 4.250 bore x 4.00 stroke, press or floating pin, 6.135" rods, coated skirts. Pistons sold in sets of 8, price shown is each. 383 Stroker Based eng. 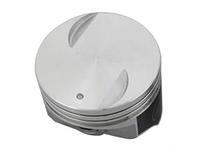 Flat 2 reliefs(4.000 bore x 3.750 Stroke) press or float pin, coated skirt 350 engines using a 400 SBC crank with 5.7" rods. 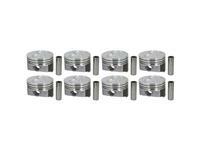 Pistons sold in sets of 8, price shown is each.